We Know automation - long experience. Over 20 years in the buissnes. Do you feel that you don't have enough time? Are you dependent on a few employees? In many companies there is only a few people that know and can handle the automation system. Can you continue like this? Do you find it hard hire people? Do you think it takes too long time to introduce people to your automation systems. Not possible to use automation consultants. We have a standarize model. We have helped other companies to form their Automation standard. Contact us so we can explain. You can read more about us and our services on this site. You have a full order book, but you have too few employees that can manage the automation systems. Employees, in many cases, are overloaded with work. And it is hard to hire someone else to do the job, as it requires too much time to introduce them to your systems. What is the solution to this? The solution is to create a modern Company tuned automation standard. A documented and standardized way to handle all your automation needs. By implementing a standard, you will save time and money and makes it easier to hire new people as needed. Do you want to lower your costs? By implementing modern solutions, you can build your system in a more modular way. This makes it easier to reuse components, solution and code. This makes the work much more cost effective. Your cost per order can be drastically reduced. You will also save money in everything from sails, projecting, commission, and future maintenance and rebuild. The payback time is low, Your automation people will have more time to stay updated with the news and future customer demands. Contact us today, LindhAutomation can help you to form a standard. SWIAF equals SWeden Industrial Automation Forum. This is a new developed and modern forum for all of you that work with, or are interested in Industrial Automation. We, LindhAutomation hope that this forum will be helpful for all of us. We welcome all of you to join the community. Follow link below To read more about our vison. Remember it is free to join!!! The goal at Lindh Automation group is to unite highly competent, smaller companies, that are active in the industrial automation sector. We provide professional service that gives you, our customer, a unique and competitive advantage. Our project has just begun, and we will continue to grow and develop as we move into 2018. Thanks for your support! Are you in need of Consultancy services? Do you need help to standardize your work? 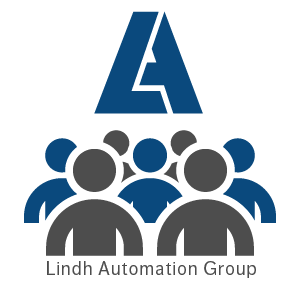 Do you want to join Lindh Automation Group? Are you looking for a new job? We can help you. Your Automation Consultant and Partner. Contact us today we can help you to succeed. © 2018 Mattias Lindh Automation AB.